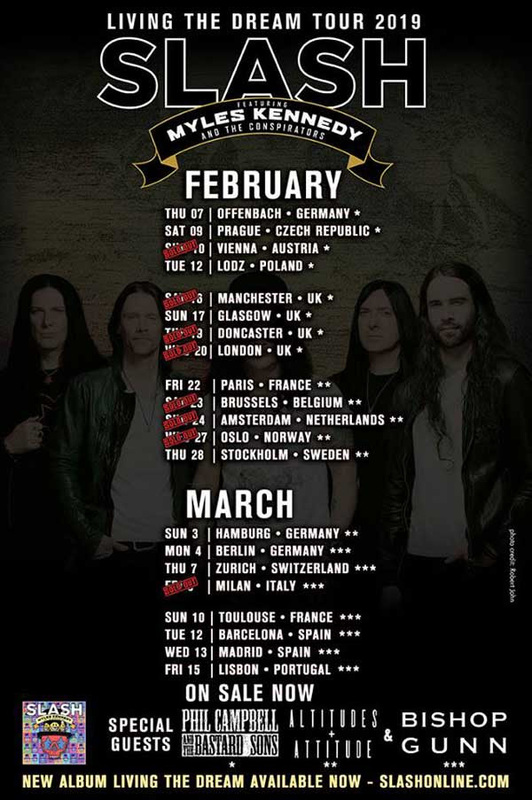 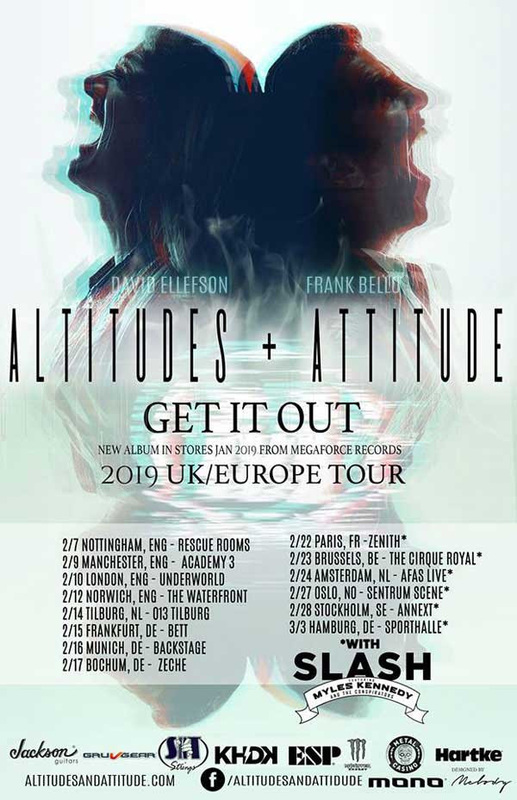 ALTITUDES & ATTITUDE featuring ANTHRAX bassist Frank Bello and MEGADETHbassist David Ellefson, have announced 2019 UK/European tour dates including 6 shows with SLASH f/Myles Kennedy and the Conspirators in support of their debut album, “Get It Out”, due on January 18, 2019 via Megaforce Records. 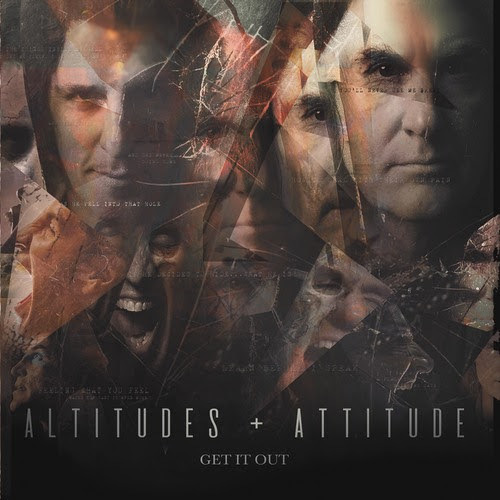 The official lyric video for the first single, “Out Here”, made by by Melody Myers of Designed By Melody, can be viewed here: https://youtu.be/kmij2mzUju8. 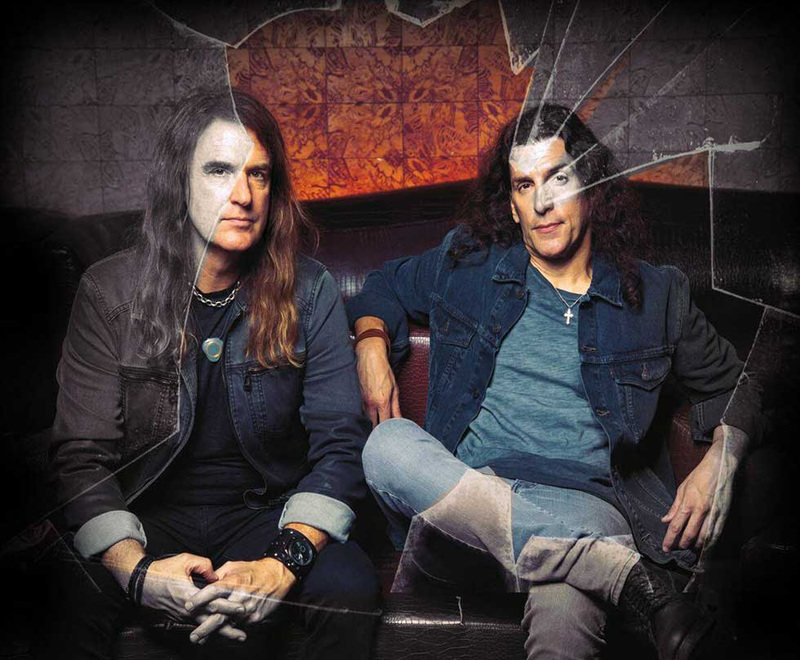 The track features a guest appearance by ANTHRAX guitarist Jon Donais.